Our Home Planet Earth has supported life for billions of years and continues to do so inspite of the reckless imbalance in nature created by us through our unconscious acts of greed and the love for external power. 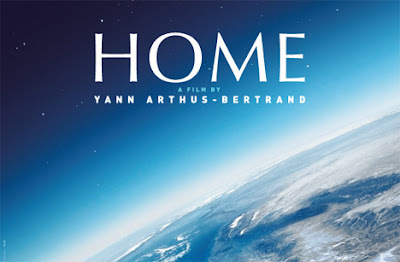 Home is a movie made by Yann Arthus-Bertrand about our Planet Earth and how we can individually make a difference and add on to the collective momentum in Healing Terra. The movie has some awe inspiring footage from over 50 countries all seen from the air. The most visible sign of the environmental damage caused by humans, the melting of the ice on the oceans and on land is a local and global problem. Arctic ecosystems, whose best known species is the polar bear, are under threat. Native peoples, particularly the Inuits, also see their living conditions worsen as the ice melts. The ice is a witness to the Earth's climatic evolutions and its disappearance will have consequences far beyond the polar regions. As the ice-cap melts, sea-levels will rise drastically altering coastlines all round the world. New York is the epitome of a cosmopolitan city. One of the world's biggest, it saw immigrants arrive from all over the world, chasing freedom, their fortune and the American dream. New York continues to attract and fascinate. The city created a new model of urban planning with towers and blocks of buildings, constant traffic, stores and adverts. All these innovations that made the city attractive also contributed to the increase in its inhabitants' consumption of energy and material goods. environmental changes due to human being is increase day-by-day.